3 BOOK CASES AND A PILLOW!! 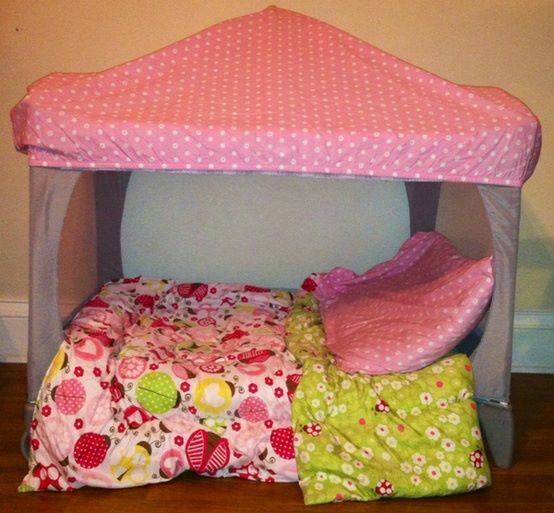 MAKES FOR A NICE NOOK IN A ROOM!!! Then put it in place & put outdoor patio bench on & the 2 square pillow on either side & the 1 rectangular pillow in the middle. 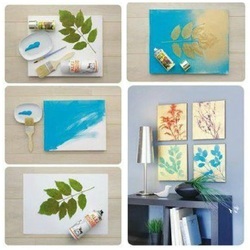 Decorate a wall in your house!! 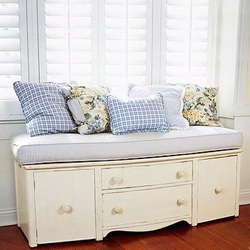 Cut the legs off an old dresser and turn it into a bench with storage. 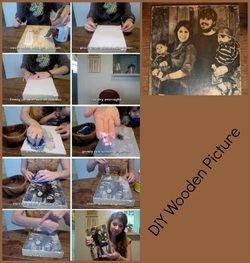 transfer your family photo onto a block of wood! the wood grains show through the light areas of the photo. this makes for a unique way to show off your beautiful family and doubles as a gorgeous personalized piece of decor while adding a natural element to your home. very fun! you will cut through the top half of the plastic with a knife of one of the pop bottle. 2.) 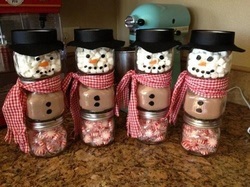 Place the the one piece you just cut & place 2 pieces of pop bottle together. 3.) 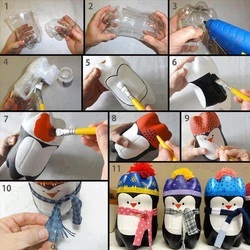 Use either hot glue gun or regular glue & glue the pieces together. 4.) 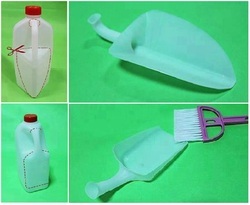 Use White Gesso to cover the pop bottle. 5.) Draw with a black marker like in the photo #5. 6.) With Black Acrillic Paint paint around the outside of the belly line & bellow the bottle you glues on. 7.) Use whatever Acrillic paint color you want for your penguins hat for the base color. 8.) Chose another Acrillic color for the polka dots,snowflakes or stars you put on the hat. 9.) Paint 2 dots for the eyes in black paint & with orange paint make a small triangle for his/her nose. 10.) cut up new dish towel for scarves & cut ends to fringe.Tie the scarf around the neck. 11.) Use pom pom as a tassel & glue on hat. 3 pint size or baby food jars. cut up new dish towel for scarves Cute gift idea. 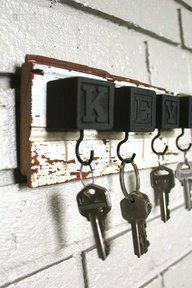 Then add the Hanging Hooks to the back of the Weathered/Barn/Drift wood and then hang it up! 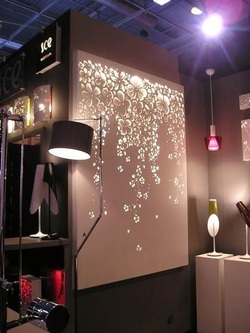 Right Bottom Photo Place all the Canvas on wall the way you like them in a group as in the photo.